The Trimode is a true-bypass, dual-channel tube distortion pedal that utilizes the warmth and harmonics from a 12AX7 tube to deliver a wide array of American-style distortion tones. 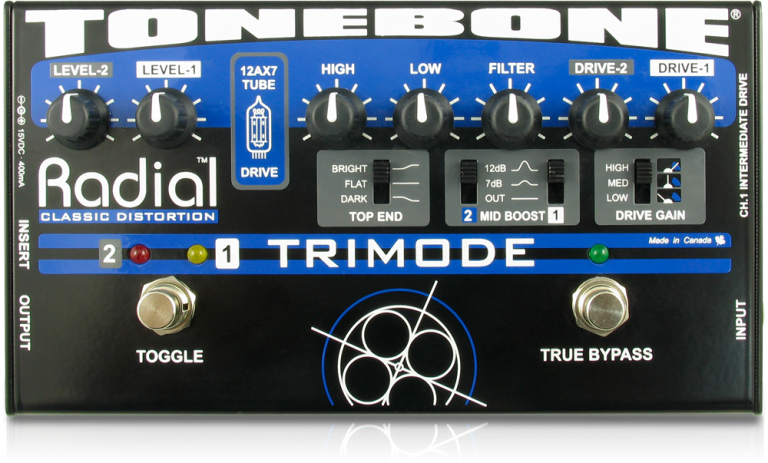 The Trimode is a high-performance dual-channel tube distortion pedal that produces a wide array of American-style distortion tones. 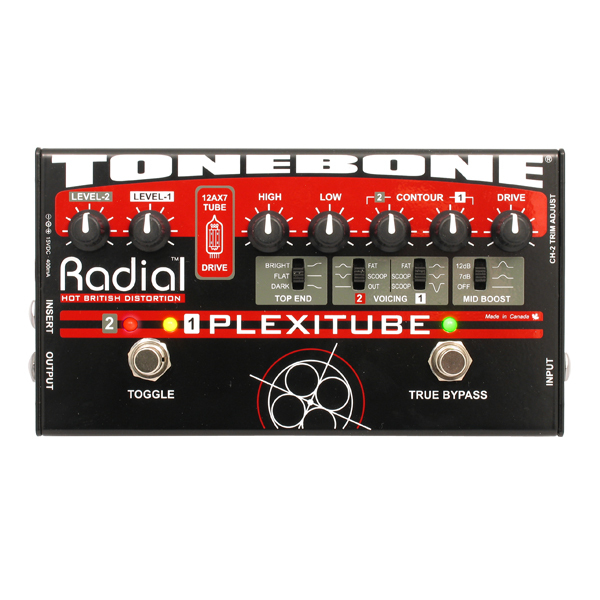 It combines dual-gain stages with a 12AX7 tube to deliver the warmth, feel and dynamics of a tube amplifier. 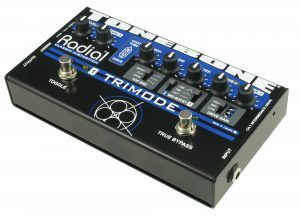 Designed to make life easier, the Trimode’s two channels make it a one-stop-shop for clean, rhythm and lead switching. Channel 1 is optimized for rhythm tones, whereas channel 2 is optimized for lead tones and features an effects loop to eliminate tap dancing. 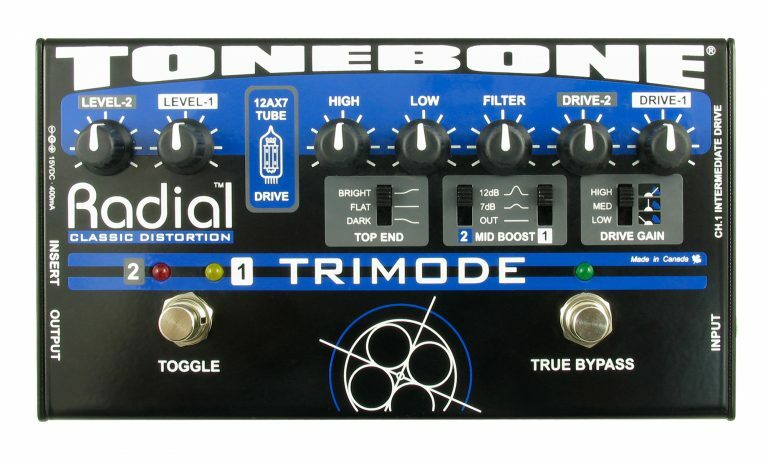 Dig into the Trimode and feel every little nuance! "Adding the various EQ options opens up a huge range of tones – more than you'd imagine would be possible... 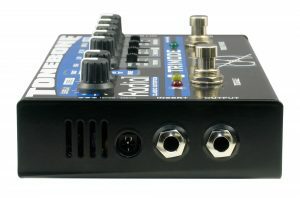 Even at the middle setting on the drive gain switch, there's plenty of gain available for most rock and blues purposes; pushing the switch up to the highest position makes for a lovely, thick, saturated distortion." "The Trimode is great! I especially love how it turns a solid state amp into a great sounding tube amp. With quite a few of my amp set-ups it really works out perfectly." "Fantastic! As soon as I plugged the Trimode in, I knew it would work for me." 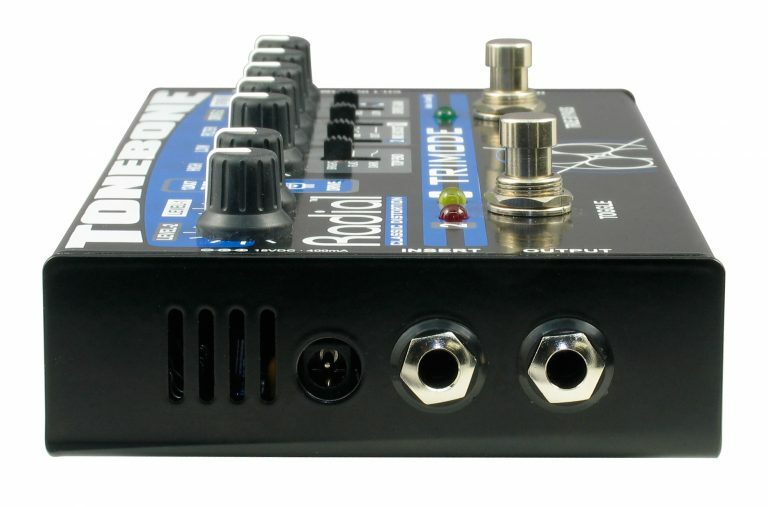 "Think of the Trimode as another two killer channels added to your amp. 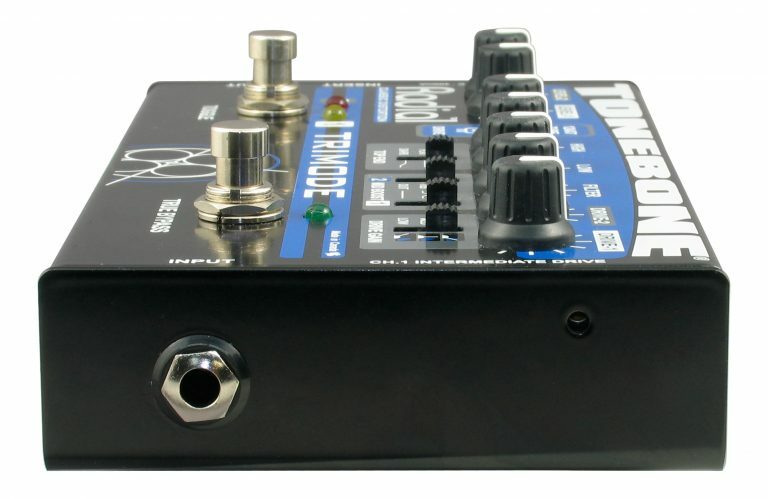 It's the most musical, best sounding OD pedal I have owned in more than 25 years, bar none. If you are concerned with tone, you have to check it out. " 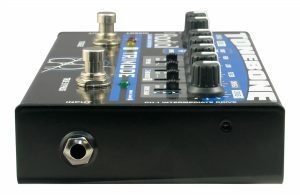 The Plexitube delivers five generations of Marshall in a box. Triple gain stage delivers fat, harmonically rich tones that let you switch from rhythm to lead. 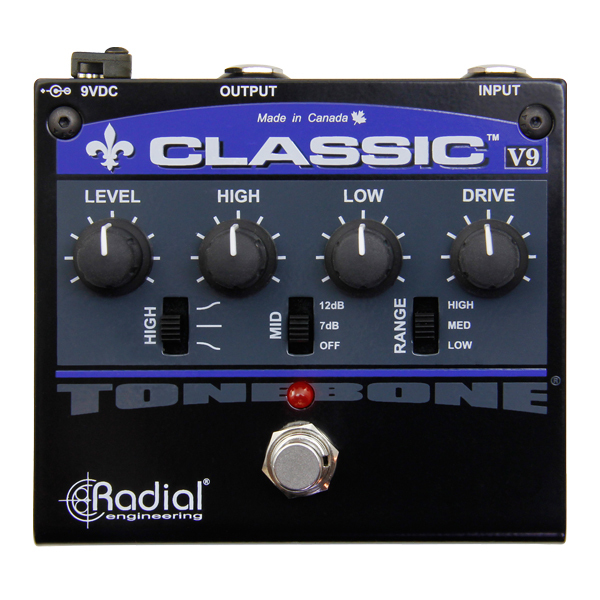 The Classic-V9 is the next generation, solid-state version of the venerable Tonebone Classic tube distortion. 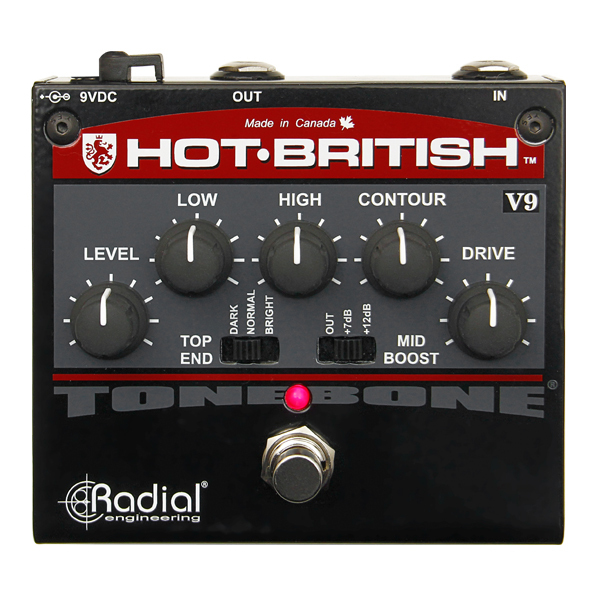 The Hot-British V9 is the next generation, solid-state version of the original high-gain Tonebone Hot British tube distortion. 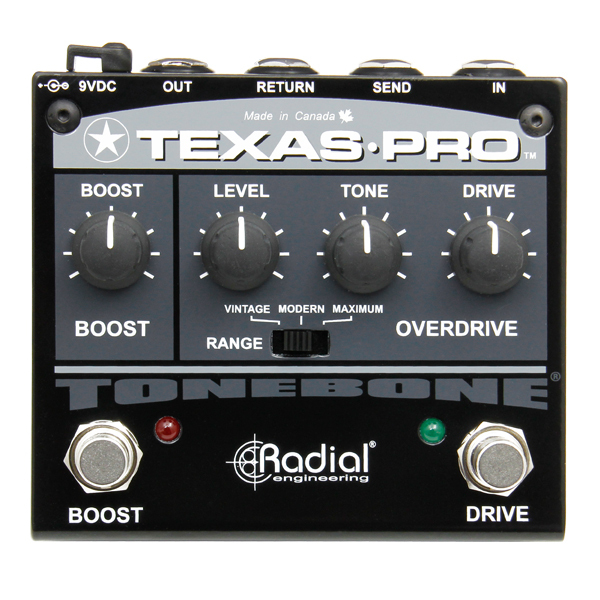 The Texas-Pro is a true-bypass, dual-function pedal that features a versatile overdrive circuit capable of vintage, modern, and high-gain overdrive tones, along with a class-A power booster with a built-in effects loop.